The cast of Collective Rage: A Play in 5 Betties celebrated the production's off-Broadway opening at Suprema Provisions on September 13. 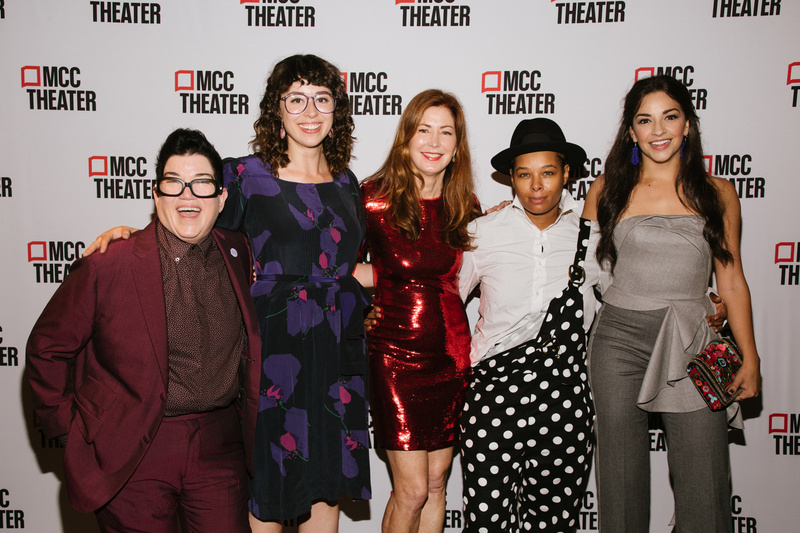 Ana Villafañe, Lea DeLaria, Adina Verson, Dana Delaney and Chaunté Wayans all take on the roles of women named Betty in Jen Silverman's outlandish and poignant play. The production is currently running at the Lucille Lortel Theatre through October 7. Take a look at the fun photos, and catch Collective Rage! Lea DeLaria, Adina Verson, Dana Delaney, Chaunté Wayans and Ana Villafañe. The New York premiere of Jen Silverman's new comedy.